It's nice to have a tea or two in the stash that's easy to acquire, fairly inexpensive, and of course tastes good. Many of the teas from The Republic of Tea can be found in certain grocery stores and health food stores, and today I'm reviewing their Golden Yunnan black tea. I usually prefer to focus on smaller tea companies but I thought it would be nice to give Republic of Tea a try since it's been years since I've had their teas. 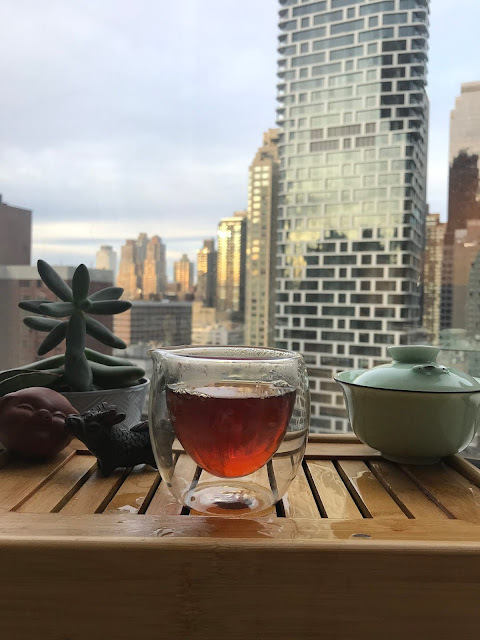 When the company's 'Minister of Creative Ventures' reached out to send a few samples, I decided to request this black tea since I've seen it in our local Whole Foods, so I know it's reasonably easy to obtain. 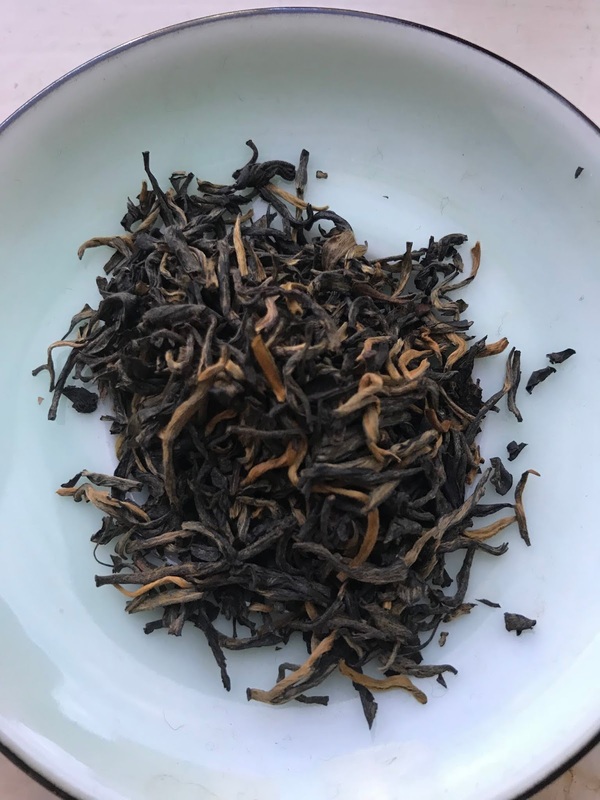 This Golden Yunnan is an orthodox black tea from Yunnan, China. You may also see the same tea referred to as Dian Hong. There are a good amount of lovely fuzzy golden buds scattered throughout. I served this tea during Office Tea Club and everyone had fun touching the fuzzy leaves. The dry leaves have a bittersweet chocolate aroma with a touch of roasted sweet potato. This Golden Yunnan tea has enough flavor to drink in the morning (I've been enjoying it as the first tea I brew when I get to work), but is also a nice way to cozy up in the afternoon. As I mentioned, the Office Tea Club enjoyed this one, and we nibbled on cranberry spice cake along with the tea. The cranberries were a little too tart for the tea, as there is a slight citrusy note in the brew that starts to take over with the introduction of the cranberries. Not a bad pairing, just not to my liking. I'd stick with something with buttery and/or chocolatey, but maybe a milk chocolate so the flavors don't get too muddled. This is a good tea to recommend for novice tea drinkers as it's very forgiving. It can be oversteeped and it still produce a smooth and flavorful cup. As I mentioned, this is a tea that's easy to find locally, which also makes it a good choice for beginners. I'll definitely keep this one around the office for the cold winter days that are right around the corner. Thank you to The Republic of Tea for providing this sample for review.